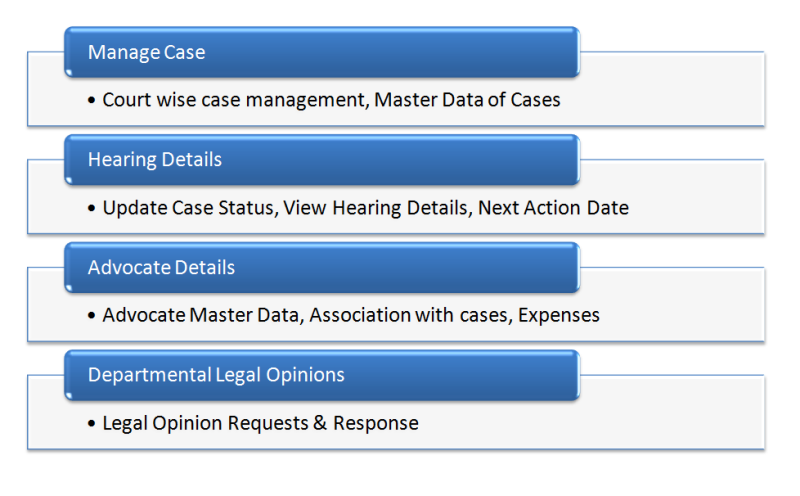 Acme Legal Cases Monitoring System Software has been designed and developed keeping in view of the requirements of the users of the State Govt. departments/ Boards/ Corporations who are dealing/ monitoring the ‘Court Cases’ in their respective departments. Centralized data input and processing. Alerts & notifications via SMS and Email to concerned officials and advocates. Management of case wise expenses in different heads.